Active Junky’s privileged to see what’s happening around the world. And sometimes that means tough places and difficult environments to grow up and live safely. We stumbled on the Skateistan project, one of the most compelling, person-to-person organizations in the world of action sports. Non-violence, respect for diverse cultures and a belief in skating as a healing force in places such as Afghanistan have drawn the attention of the likes of Tony Hawk and Stacy Peralta. Recently, founder Oliver Percovich dropped in by email to help Active Junky readers connect with the life-enriching, hope-provoking work of his organization. What about the times in which we live makes Skateistan a place the world needs? Unfortunately, there are still divisions in the world. While there are less wars now than any time in history, conflict still affects the lives of many children. There are also many girls that don’t have access to education at all. Skateistan gives youth a safe space to learn and connect with each other. How long does it take to start a program in a challenging environment, and what are the major obstacles? It takes around 3 to 4 years to get a new program going in a new location like the countries we have chosen: Afghanistan, Cambodia and South Africa. The major obstacle is training the local staff to run the high-quality programs – Skate and Create, Back-to-School and Youth Leadership – that we provide at Skateistan. It is very important that our local projects and Skate Schools are locally run and this takes time. What popular skate trick today is the best metaphor for the project’s impact on lives? Most obvious would be to say the ollie, as it's the gateway trick to doing so much more, and Skateistan (and skateboarding) opens a world of opportunities for youth. But I personally want to say the boneless, as Skateistan gives the kids a big boost. 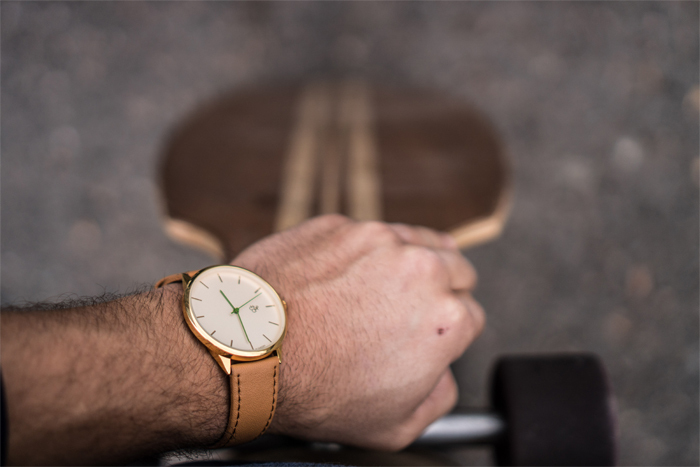 Neither shy nor pushy about donations, Skateistan has collaborated with enlightened companies like Sweden’s Cheapo watch to connect with a growing group of supporters in creative ways. 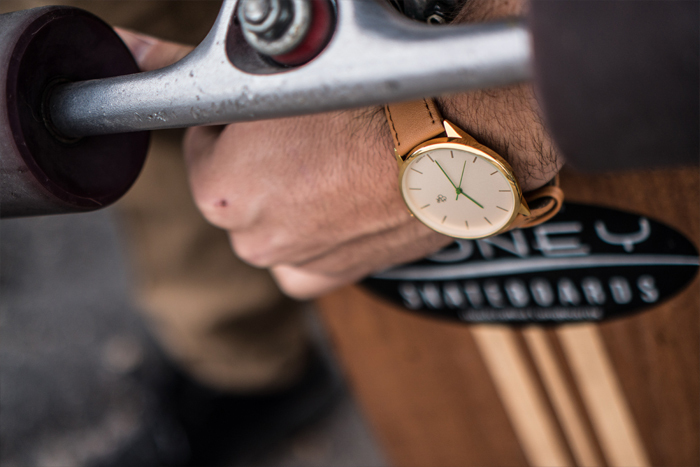 Click here to buy the watch, photographed recently in Denver, Colorado, to send a minute-by-minute message.